'Everyone asks what to look for next – what country or region is on the rise? They all are: I can't think of a kind of wine that is getting worse - or any not getting better. My counter-question is does it really matter? Are you desperate to be the first in a new trend, or just to get a good bottle at a good price? Pat a premium for a famous name, of course, or something irrationally fashionable, but find a taste you really like: that's the object. 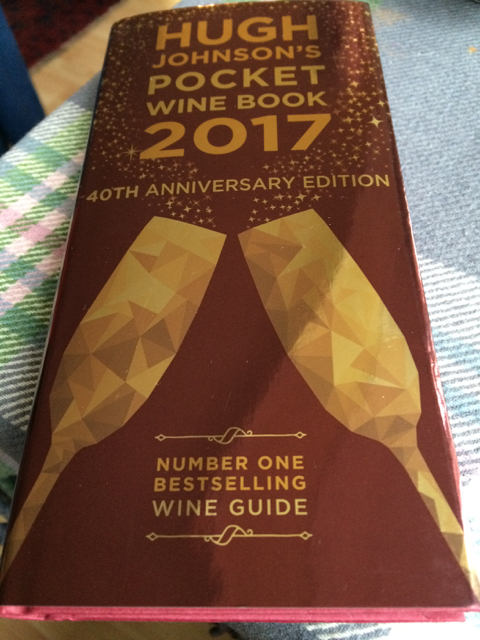 'The first edition of this bulging little book 40 years ago was something more modest. 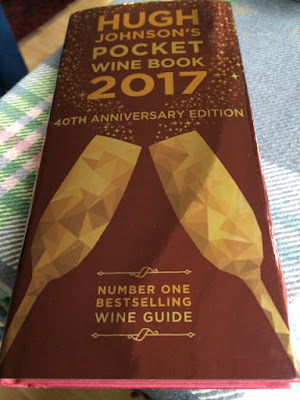 I eschewed the word 'encyclopaedic', or even 'guide', it was simply my Pocket Wine Book, in which I wrote the briefest-possible notes on all the wines I could think of that enjoyed any international recognition. They took up 144 pages, with lots of stylish white space around the type. The idea was that it fitted in your pocket like a diary: indeed, we had to go to a diary-binder to have such a lightweight book nicely bound. Sarah Ahmed, Helen Baker, Amanda Barnes, Nicolas Belfrage MW, Jim Budd, Michael Cooper, Michael Edwards, Sarah Jane Evans MW, Rosemary George MW, Caroline Gilby MW, Anthony Gismondi, Anne Krebiehl MW, James Lawther MW, Konstantinos Lazarakis MW, John Livingstone-Learmonth, Wes Marshall, Campbell Mattinson, Adam Montefiore, Jasper Morris MW, Ch'ng Poh Tiong, Margaret Rand, Ulrich Sautter, Eleonora Scholes, Stephen Skelton MW, Paul Strang, Sean Sullivan, Marguerite Thomas, Larry Walker, Gal Zohar, Philip van Zyl. Hugh Johnson's Pocket Wine Book 2017 will be published on 8th September. Also to be published by Mitchell Beazley on 8th is Hugh Johnson on Wine Good Bits from 55 years of scribbling (£20). The Harbour Inn, Bowmore sur lie!